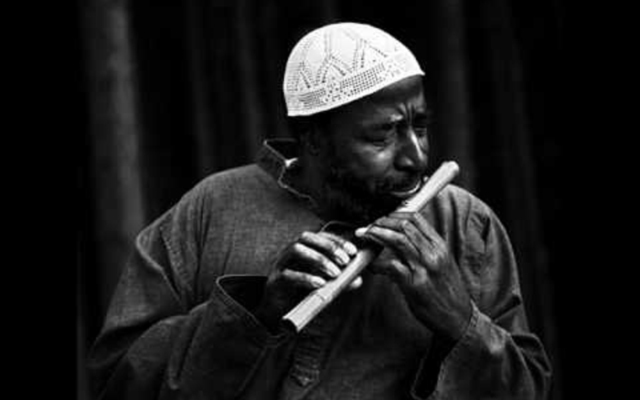 When Yusef Lateef (1920 – 2013) played music or recited a poem, it was if a hymn of the Universe is being performed, recited or sung. Arguably one of the most influential Jazz musicians ever – at least indirectly, John Coltrane acknowledged him as a role model – Mr Lateef, who has been credited with coining the term heart music, wrote and performed music that, as suggested by Pythagoras and Plato, seemingly reflected a reality outside itself, and sometimes also mirrored the structure of the world as a whole. 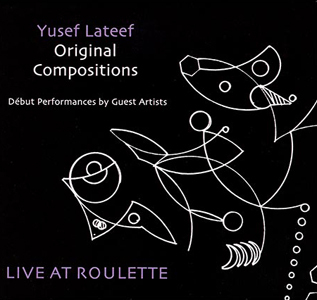 And, throughout his lifetime as a composer and performer Mr Lateef referenced that most important, palpitating source of being the heart so that his music emerged as something so rhythmically pure and, inevitably, as quintessential as breath itself. If you think that is hard to comprehend, this is the record for you. Throughout its three-quarters of an hour of music you will be treated to four breathtaking musical works and one exquisite poem set to music. The performers bring not only the sense of Mr Lateef and his works belong to the spirit realm, but they also bring intellectual rigour to its orchestral delights. The “String Quartet No. 2” is resolutely head-driven and it’s profound. The members of the Momenta Quartet pre-eminently ascetic use of sustaining gestures creates a wonderful clarity tinged with moist warmth. In countless wind-driven works by Jazz composers such as “Trio in December” by Mr Lateef, musicians are known to thrash about restlessly making heavy work of everything. How refreshing therefore to experience, therefore, a thoughtful “trio” that conveys its profoundly revolutionary zeal through ingenious fluctuations of texture and revelatory harmonic tectonics. On the first (and only) movement of “Autophysiopsychic Variations for Piano” Taka Kigawa offers waltzing shoulders in his graceful pianissimos, yet his refusal to take the easy rhetorical way out reveals felicities and subtleties that might pass by unacknowledged if one is not paying attention to the nuanced changes in emotion and expression. And then it’s time for the master to make his appearance. Mr Lateef recites and plays with characteristic enigma bringing insightful colours of the work’s limpid introspection to life. Mr Lateef is partnered here by Adam Rudolph a masterful percussion colourist and one of Mr Lateef’s greatest champions. The restrained performance of “When” brings the programme to a perfect conclusion with both men seemingly in a trance as the work is transformed into a stunning meditation; a work of utterly mesmerising existential beauty.